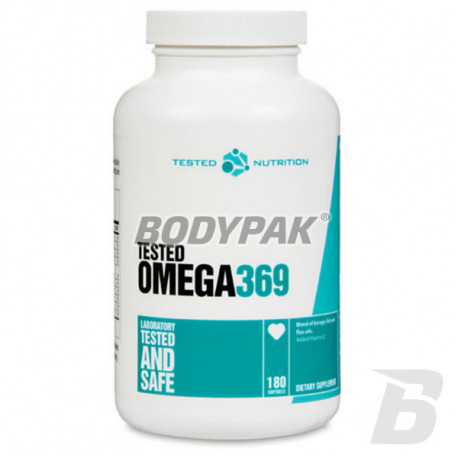 Health & BeautyTested Omega 3-6-9 - 180 kaps. High-quality dietary supplement in his composition composition of a number of fatty acids in carefully chosen proportions. They act as regulators of physiological processes responsible for the health and proper functioning of our body. 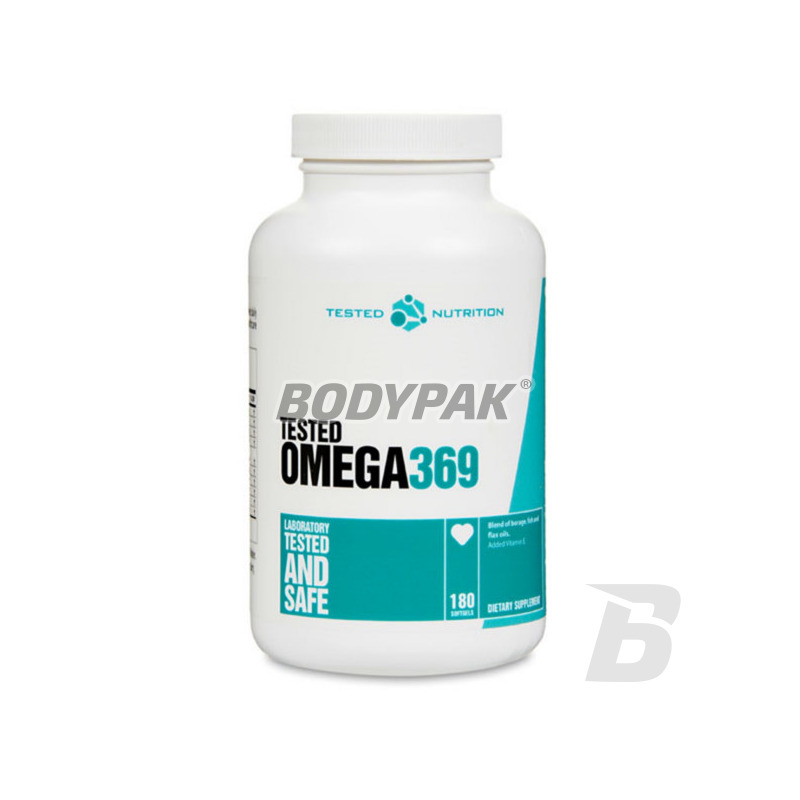 Omega-3 (EPA + DHA) - a complex of fatty acids of particular importance for the proper functioning of our body. Their action is based primarily on the protection and regulation of the heart and circulatory system, maintaining an optimum metabolic rate, strengthen the immune system, improve concentration and functioning of the brain and nervous system as well as improve mood and the abolition of mild depression. Omega-6 - classified as Essential Fatty Acids, polyunsaturated fats, which must be supplied from the diet because our bodies can not synthesize them itself. They provide adequate growth, accelerate wound healing, regulate renal and hepatic function, prevent infection and help maintain normal levels of cholesterols in the blood. Omega-9 - like Omega 3 and Omega 6 helps reduce the amount of "bad" cholesterol LDL, increasing the amount of "good cholesterol" HDL. The measure consists mainly on the protection and regulation of the heart and circulatory system. Vitamin E helps to combat free radicals responsible for the normal metabolism, lowers cholesterol, raises the oxygen use, acts detoxicating, reduces the risk of cardiovascular disease. Garlicin - is a dietary supplement containing high quality highly concentrated garlic extract with proven content of the most important bioactive substances garlic - in particular important for the body of allicin.